The end is finally here and obviously, the fans are all set to go in the state of mourning after Avengers: Endgame releases in April. The movie will put down the curtains to Hollywood’s one of the most favourite franchises. There have been four test screenings of the movie till now and the reviews are very positive. Directed by Anthony Russo and Joe Russo, Avengers: Endgame will reveal the greatest mystery of what happened to half of our favourite superheroes. In an interview with Collider, the Russo brothers opened up about the reviews from the test audience. They said, “I think the studio is down with what the best story is. Right now, we think the movie is playing well and we’ve had great responses from our test audiences and we’re feeling very good about where it is. We’re still doing work to it. We’re not done with it. Let’s wait for the overflow of the positive reviews, “We have screened the movie four times for audiences now. For the first three screenings, not a single person got up to go to the bathroom,” Anthony Russo said. The movie is all set to hit the theaters on 26th April 2019. 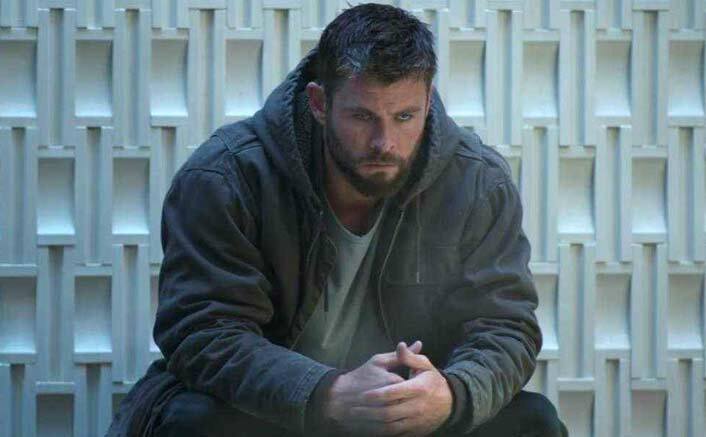 The post Avengers: Endgame Reviews From Test Screenings Are OUT & It Just Can’t Get Better! appeared first on Koimoi. Previous ArticleDid You Know? Ek Ladki Ko Dekha Toh Aisa Laga’s Title Track Is The 12th Version Of The Recreation! Next Article Jumanji: Welcome to the Jungle: Nick Jonas, Dwayne Johnson & Team Return For The Sequel!